Master Resilience Training (MRT) is a resilience-training program that is offered by the United States Army. The goal of the program is to teach officers about resilience and to train those officers to teach other soldiers about resilience as well. It is a joint effort between the Positive Psychology Center at the University of Pennsylvania and the United States Army. Read on to learn about what MRT is and whether or not it has found success in its short time as an army offering. This piece also includes PowerPoint presentations which can help clarify MRT for more visual learners. MRT was developed as a joint undertaking between the Positive Psychology Center at the University of Pennsylvania (which developed the preparation component), the Walter Reed Army Institute of Research (which developed the sustainment component) and the United States Military Academy at West Point (which developed the enhancement component). “backbone of a cultural transformation of the U.S. Army in which a psychologically fit army will have equal standing with a physically fit army” (Reivich et al., 2011). MRT is partially based on the University of Pennsylvania’s Penn Resilience Program (PRP), developed in the 1990s as an attempt to help prevent depression. In the first two years of its existence, the MRT program was taught to over 2,000 noncommissioned U.S. Army officers at the University of Pennsylvania (Cornum et al., 2011). MRT was developed for and in conjunction with the United States Army and is used to help soldiers be more resilient on and off the field of battle. While PRP was initially developed to help prevent depression, MRT is especially focused on post-traumatic stress disorder (PTSD). Specifically, the army was interested in fostering a proactive approach to PTSD, rather than simply waiting for soldiers to come home with PTSD and then beginning to treat it. The US Army is also interested in teaching MRT skills to families of soldiers as well as non-combat members of the army. A study conducted after the MRT program had been offered to soldiers for four years examined the success of the program (Griffith et al., 2013). Over 90% of participants found the program to be “very helpful or helpful”, with the second module being rated as the most helpful and the third module is rated as the least helpful, although over 60% of participants still found the third module to be helpful [see below for more information on the modules]. Most interestingly, over 95% of participants said they found themselves using skills they learned in MRT both on the job and in their personal lives. These findings indicate that MRT has been a resounding success in the short time it has been offered, as soldiers have overwhelmingly found it helpful. Even the third module, which was rated as the least helpful module of the seven, was still considered helpful for well over half of the participants. The fact that soldiers have found MRT’s teachings to be valuable in both their work and personal lives shows the usefulness of the program and indicates that it could easily be adapted for general use outside of the army. 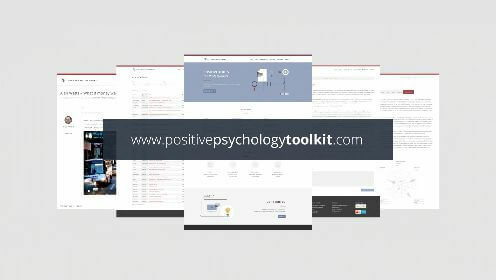 The first five modules which make up the preparation component are clearly influenced by positive psychology, which is unsurprising considering they were mostly developed by the University of Pennsylvania’s Positive Psychology Center. 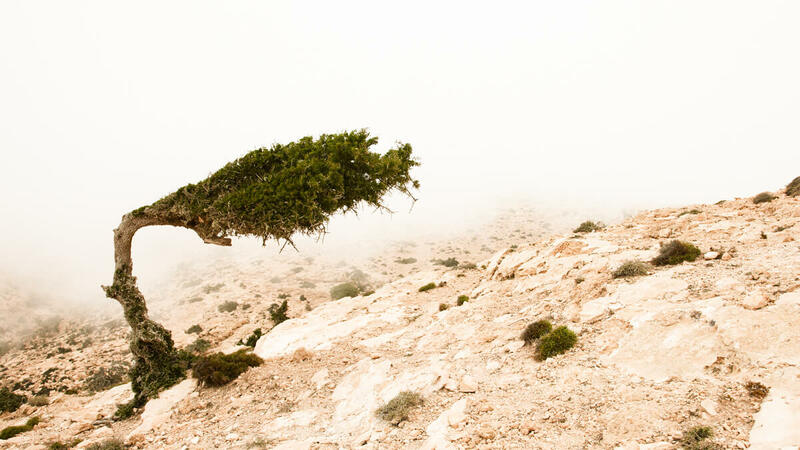 The first module covers a number of topics, from what resilience is to which mental factors contribute to resilience (including self-awareness and optimism). The second module focuses on how to cultivate these mental factors that contribute to resilience, by promoting problem solving and gratitude, among other things. and the fourth module focuses on strengthening relationships between soldiers and other soldiers, as well as between soldiers and the other people in their lives, such as family members. The fifth module revisits the first four modules and also focuses on training soldiers to teach other soldiers these resilience skills. The sixth module (the first one that is not a part of the preparation component) focuses on “reinforcing resilience skills over the course of a military career and applying these skills in the military-specific context” (Reivich et al., 2011). This module was mostly developed by the Walter Reed Army Institute of Research. The seventh and final module, mostly developed by the Army Center for Enhanced Performance and heavily based on sports psychology, “presents an overview of the key skills taught by sports psychologists. The skills introduced are mental skills foundations, building confidence, goal setting, attention control, energy management, and imagery” (Reivich et al., 2011). Interestingly, only one of these seven modules, the sixth one, is solely applicable to a military setting. The rest are geared towards soldiers but can easily be adapted for a general audience. This is expected, as five of the modules were developed by the Positive Psychology Center at the University of Pennsylvania while only two were developed by the army, but it shows the potential for MRT in a non-army setting. One could imagine managers in a workplace learning about MRT and then passing on the skills to their employees, as well as a similar thing happening in schools. For people who want to learn about MRT in a more visual manner, or for people who want to teach others about MRT, a PowerPoint presentation can be useful. A very helpful (though non-comprehensive) PowerPoint presentation on MRT comes straight from the University of Pennsylvania’s Positive Psychology Center itself and can be found here. This presentation only focuses on the very first module of seven, but it is a complete lesson plan regarding the first module, resilience. A broader but less deep presentation on MRT comes from the U.S. Army and can be found here. 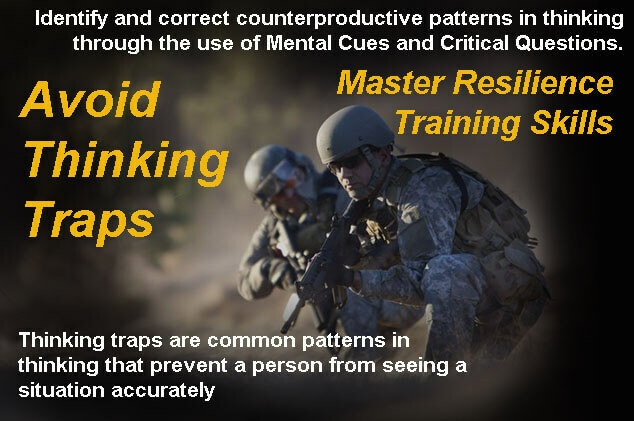 This presentation focuses on several modules of MRT, but most heavily focuses on the second module, Building Mental Toughness, which was rated the most useful module by soldiers who have undergone the training program. While this presentation focuses on the second module more than anything, it also touches on others, such as module 3: Identifying Character Strengths, which is of particular interest to positive psychology. 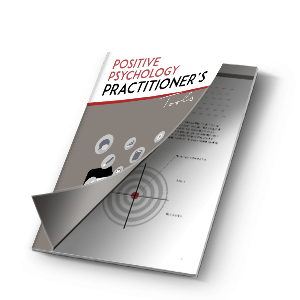 One more PowerPoint presentation comes right here from your friends at the Positive Psychology Program. The presentation is an overview of what the MRT course looks like, including an overview of each module and what it consists of. It is not as in-depth as the other two presentations, but it covers the entirety of the MRT program, while the other two focus on different aspects of MRT. Click here to access this PowerPoint. 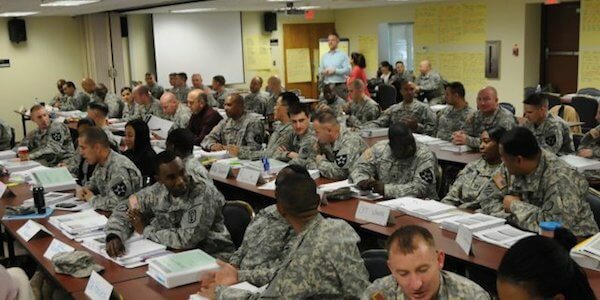 In this article, we discussed the United States Army’s Master Resilience Training (MRT) program, which teaches noncommissioned officers some key resilience lessons so that they can go on and share these lessons with other soldiers. While we worked hard to provide a useful description of MRT, there is no replacement for a description from someone who has actually gone through the program. Fortunately, we have since been in touch with an MRT trainer who has taught the program for years, and who was generous enough to share his experiences with us in this interview. Chaplain (Captain) Mike MacKrell is not only an expert in MRT but truly enjoys sharing its lessons with his fellow soldiers in the army. He kindly took some time out of his busy schedule to give us an insight into the inner workings of the program, which he has taught to soldiers and civilians alike. If you want to learn about MRT, this is an excellent place to continue your education. For clarity’s sake, the questions we sent to Chaplain (Captain) MacKrell have been bolded and numbered. His answers are directly under the corresponding questions in non-bolded text, and a quick wrap-up written by us (and not him) follows the questions. Please enjoy this interview about MRT with one of its proponents, and we can only hope that you learn as much from reading this interview as we did by conducting it. 1. How did you become an MRT trainer? 2. What aspect of MRT has stuck with you the most? 3. What was the easiest part of MRT to teach? 4. How well do MRT’s teachings translate to civilians? Are there any difficulties in teaching it to civilians compared to soldiers (or vice-versa)? 5. How is MRT unique compared to other things soldiers are taught in the army? 6. In what ways have you found it easier to teach MRT as you have gathered more experience doing so? 7. Is there any advice you would give somebody teaching MRT for the first time? 8. What was your experience learning about MRT for the first time? 9. Is there anything else you would like to share about MRT itself or your experiences teaching MRT? Chaplain (Captain) Mike MacKrell has taught MRT to soldiers and civilians around the world and learns something new every time he teaches it. We hope this insight into an MRT trainer’s mind has helped you learn something new as well. While MRT is heavily geared towards soldiers and the families of soldiers, there are some lessons we can all take from the program. One of the main ideas behind MRT is to stop being purely reactive to issues such as PTSD and start taking steps to be more proactive. (Cornum et al., 2011). This emphasis on being proactive is a cornerstone of positive psychology, as positive psychologists believe that everyone should know how to improve their lives, not just people whose lives need improving. While it may not seem that MRT’s teachings apply to you, we could all benefit from learning about resilience and how to teach other people resilience skills. After all, the most valuable aspect of MRT is its focus on making sure people who complete an MRT program are able to pass on the program’s teachings to others. If you learn about resilience and all of its benefits, you are not only helping yourself but are also helping anyone who you may pass your knowledge on to in the future. Seligman, M.E.P. (2011). Building Resilience. Harvard Business Review 89(4), 100. How do we find how to get enrolled in this training? I am an MRT instructor in the Army (Jan 2013/Ft.Bliss). To become MRT certified, you must at least an E-6/SSG or higher. We also had a good number of Army civilians in our course. Not sure if the other services are sending their troops to the course. I love teaching my troops, seeing their reactions and sharing each other’s stories, which we all learn and grow from. if your ever down in S.Texas, stop by, I’d be happy to show you around and talk shop. You’ll have a fine Army day. I would like to encourage you to redirect your questions about MRT being open to the civilian population to UofP. Positive Psychology Program itself does not offer anything like this nor do we have the knowledge about this. The powerpoints from the article can be used of course, if you refer to the original source. I hope this answers all your questions, if not let me know! You refer civilians to U of P? Which college does this reference? Pennsylvania? 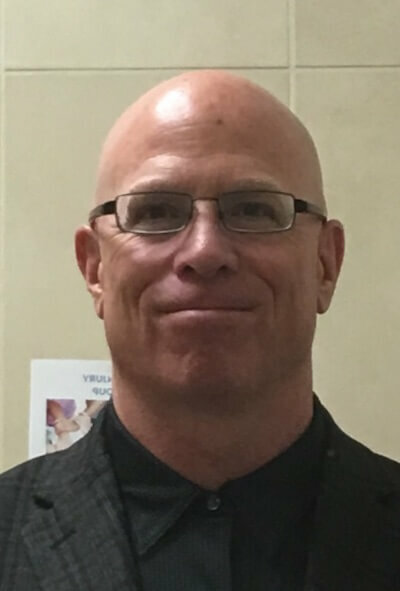 I am a civilian who works with folks that struggle with mental health and/or substance abuse and I feel strongly that a course like MRT would benefit myself helping those I serve, to be able to share what I’ve learned and hopefully transfer that knowledge to them in their own personal journeys. Hello, I would also be very interested in being trained in this. When I was in the military it was incredibly useful…and like the previous comments, I see a great need for it in the corperate world. Did anyone received any feedback on this? Good morning I am with the Navy and in process of developing resiliency presentation. I am interested in hearing your entire presentation. What I have read so far, would be perfect for our troops. I would like to use some of your material if possible? Thank you in advance. I am a contracted Master Resilience Trainer for the Army. It is my job to teach the train the trainer courses. Feel free to contact me. I was a MRT in the Army and am now retired. I see a huge need in the corporate space for this training and am trying to find how I can possibly partner with UofP to provide this training to the civilian sector. I do not want to break any copyright or intellectual property laws. Hi. My name is Margarita Kumanova. I am PhD in Military Psychology in Bulgarien. Resilience training is new in your military program. I have a challenge to prepare a group trainig to build resilience to a military group within two or three hours. I need any kind of help, advices and ideas for activities. Thank you in advance for your time and effort. Hi – I’d be very interested in being trained in this. Is MRT open to the civilian population? I would imagine this would be incredibly effective in the corporate world. Thanks for the info!